As your congressman, your priorities are my priorities. Let me take a moment to talk about three of them: jobs, security, and strong communities. 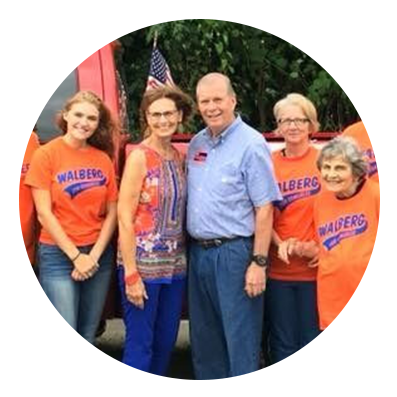 Walberg Campaign Releases New TV Ad: "Combating Heroin"
Jackson, MI - The Walberg for Congress campaign today released a new television ad that highlights Tim's bipartisan work in Congress to combat the heroin epidemic in communities across Michigan's 7th District. Jackson, MI — Congressman Tim Walberg’s campaign is airing its first television advertisement of 2016, which is focused on Tim’s commitment to expanding vocational training. Despite the rarity of having five congressional seats with no incumbents on the ballot, most of the fireworks in Michigan's U.S. House races took place in the August primary.